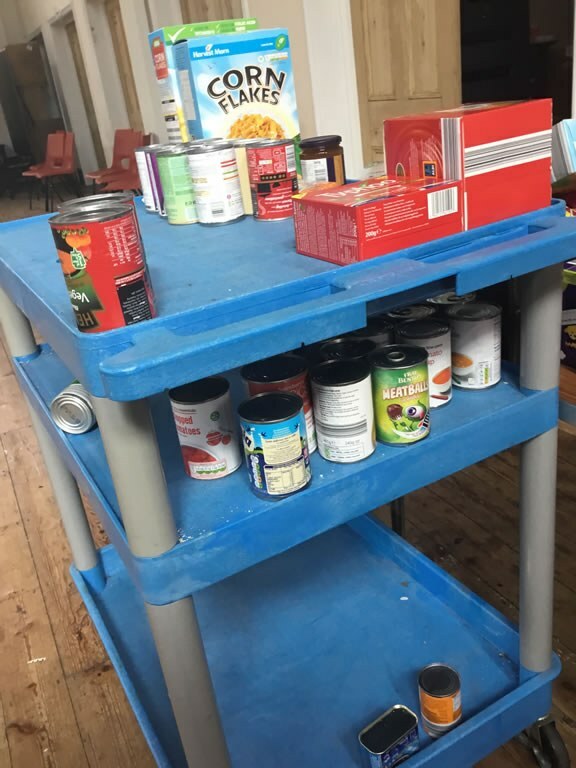 At St George’s, we make regular donations to the Melksham Foodbank throughout the year to help families in the local area who need help to make sure everyone is well-fed. 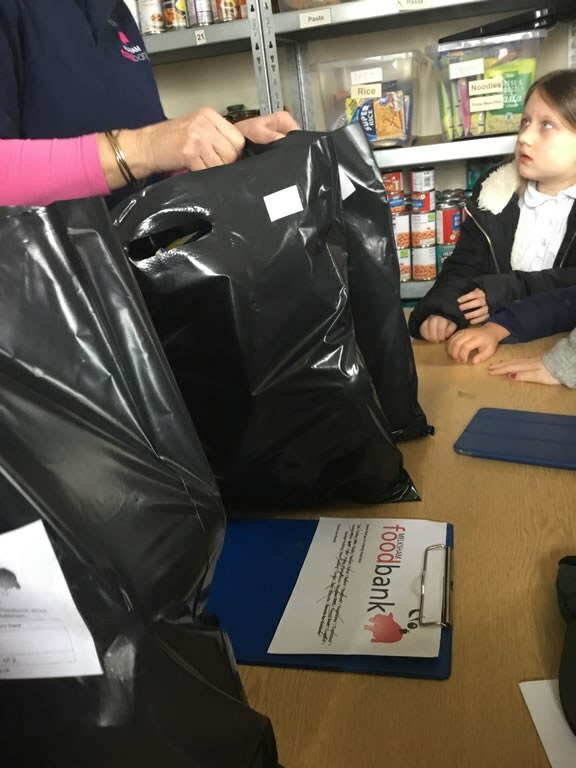 They do an amazing job helping people who are struggling and we wanted to find out what happens to our donations once they are collected from school. Hilary, who runs the Foodbank, invited School Council to make a visit. We saw where the donations first come in and are sorted into date order. They are then taken to their Store Room and sorted into different sections like drinks, pasta, rice, cereals etc. Hilary also showed us how the bags are packed for families and we saw what a family of four could expect to have given to them for a week. We learnt why tinned foods were requested as not only do they keep for a long time but also they can be stored at home without needing to go in a fridge. This was a huge shock for us to imagine living in 2019 without being able to keep food cold. 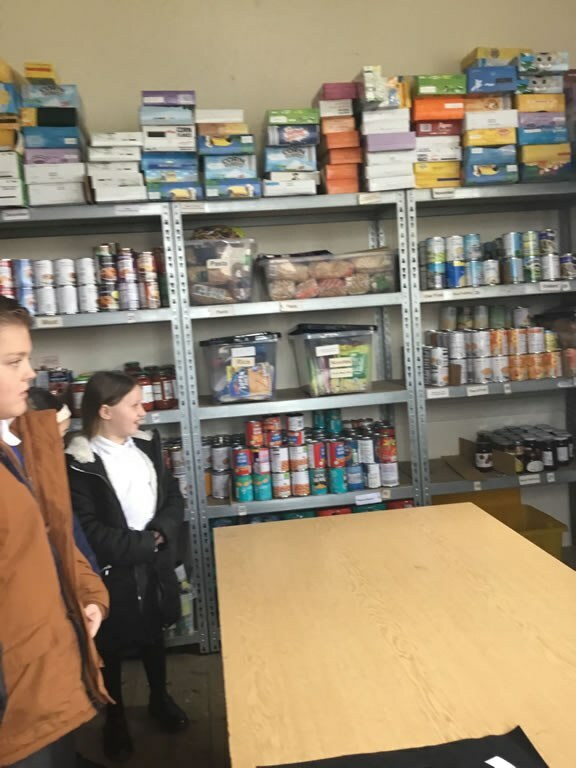 On the way back from our trip, we decided that we would like to have another collection just before the Easter Holidays for the Foodbank as Hilary said that in the run up to school holidays they get really busy and need extra food to help all of their families that they support. 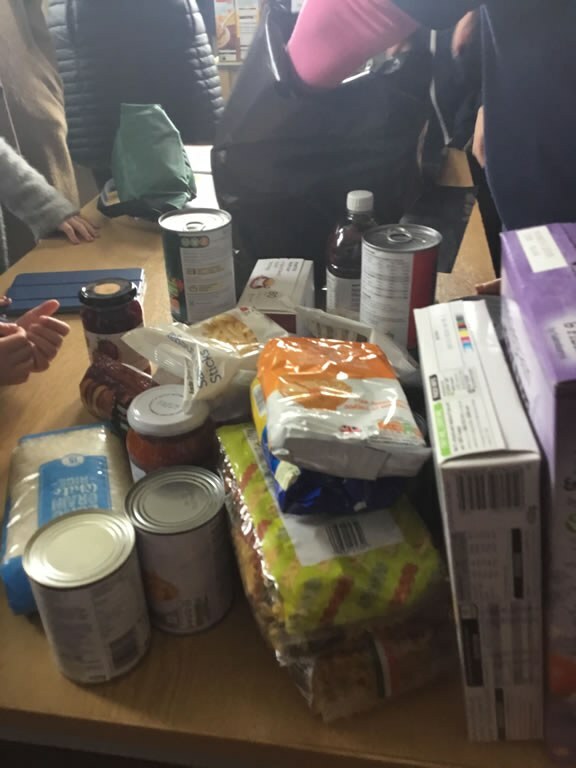 Therefore, on the last day of term, we are going to have another non-school uniform day and instead of bringing in money, we are going to ask everyone who takes part to bring in a tin of food instead.